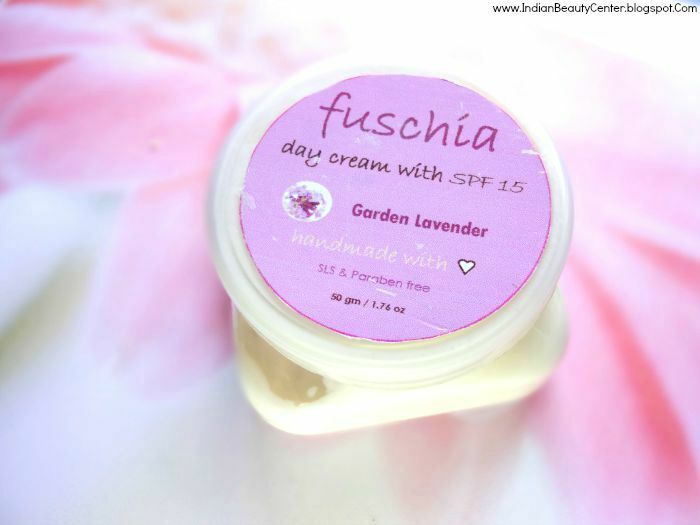 Product Description : Infused with 100% vegetarian & natural ingredients which rejuvenate & keep your skin supple, light & radiant. Lavender oil fights acne & prevents fine lines on skin. SPF 15 provides UVA & UVB protection. Free of parabens, phthalates, petroleum base, artificial tints & synthetic perfumes. Day cream contains moisturizing elements that keeps your skin hydrated and nourished. You in turn are rewarded with a soft and supple skin. Pollution and exposure to the rays of the sun often extracts the natural moisturizing elements of the skin. As a result you are left with dry and lifeless looking skin. 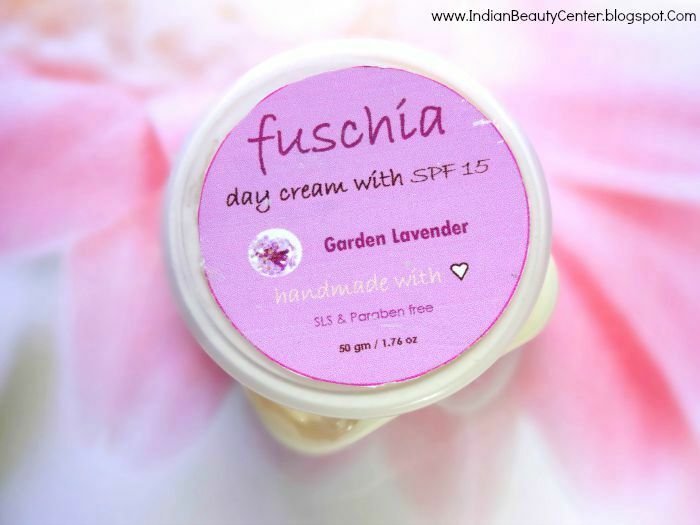 For a healthy and refreshing look choose Fuschia Garden Lavender Day Cream with SPF 15. This comes with optimum quantity of PH value that helps to maintain your skin’s PH levels. Your day cream is also an excellent base for makeup. Ingredients : Lavender Oil, Jojoba Oil, Wheat Germ Oil, Olive Oil, Aloe Vera, Hydrolyzed Wheat Protein, Carrot Seed Oil. Directions for use : It is best to apply day cream on well cleansed skin, preferably after a bath. Apply the day cream on your face and neck with the help of gentle circular motions. 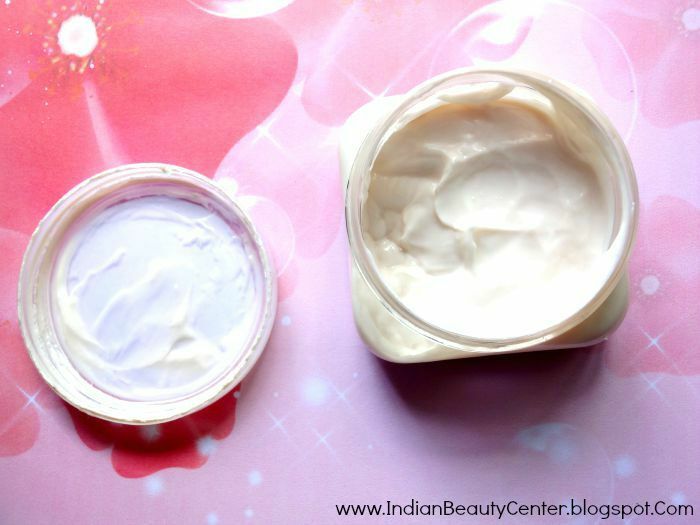 Choose a cream that suits your skin type (dry, oily, sensitive, normal or combination skin). Apply your day cream before putting on your makeup. It comes in a tub packaging, which obviously is unhygienic. But, this white cream is quite thick (think Nivea cream). So, I think a tube packaging, although hygienic, would lead to product wastage. Nevertheless, I have to make sure my hands are clean and dry before taking this out from the plastic tub with my fingers. It has lavender fragrance combined with other creamy scents. The fragrance is mild and fades away soon. I have used this for my oily skin. It did not break me out but it makes me sweat like crazy and causes a lot of oil buildup, making my skin extremely oily. I am afraid of clogged pores and so I stopped using this. I think I can use this for my oily skin during harsh winters. 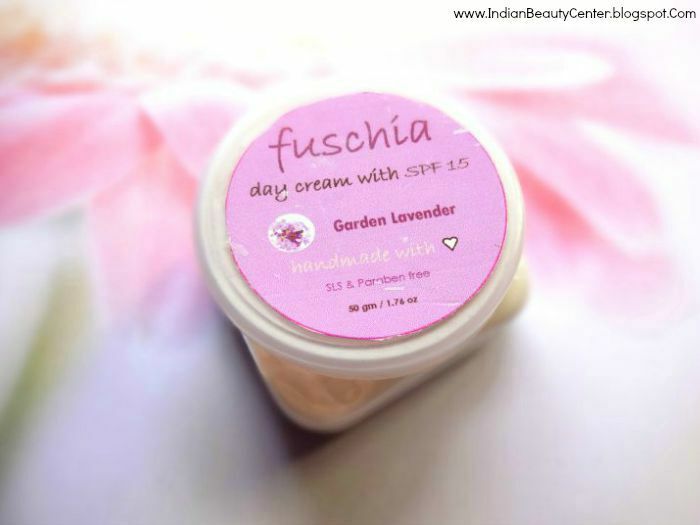 My daughter started using this cream for her dry skin and it did not irritate her super dry, sensitive skin. She loves this cream and even after such a long time, she still uses a pea sized amount of this day cream. My daughter finds that this adequately moisturizes her face, nourishes it and relieves stretchy feeling and dryness. She loves this cream to bits and as it does not contain any harsh chemicals, I am tension free. It did not break her teenage skin out neither did it cause any irritation. SPF 15 is an added advantage to protect her skin from harsh sunlight. But, even my daughter finds that this makes her sweat more than normal. 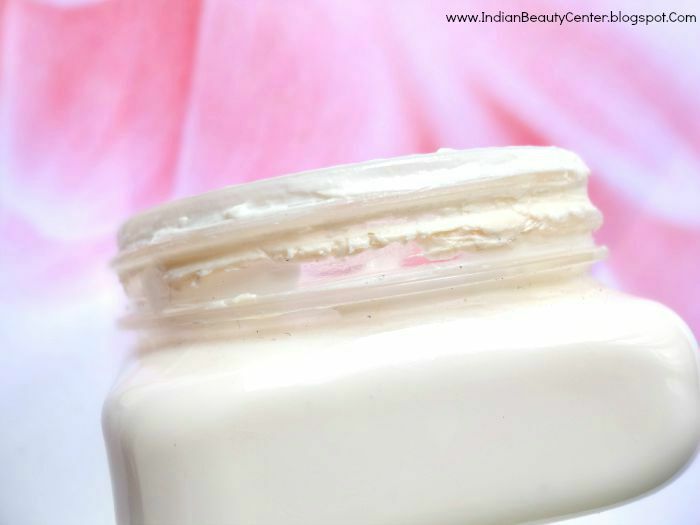 Overall, this day cream is a rich option for dry skinned beauties out there. It does not clog the pores. It's handmade. It's free from parabens and SLS. It contains SPF 15. But, for oily skin, I would recommend skipping this as this is too heavy on the skin and makes the skin very oily in matter of a few minutes. Perfect for dry skin! Final Verdict: If you ask me, I will say that this cream is awesome for dry skin but oily skin should avoid this. This will be a good winter option. It adequately moisturizes the skin and keeps it that way the whole day. So, dry skinned people, go for it! The product sounds nice for people with dry skin. This sure sounds like a great cream for dry skin. Thank you for such a detailed review.